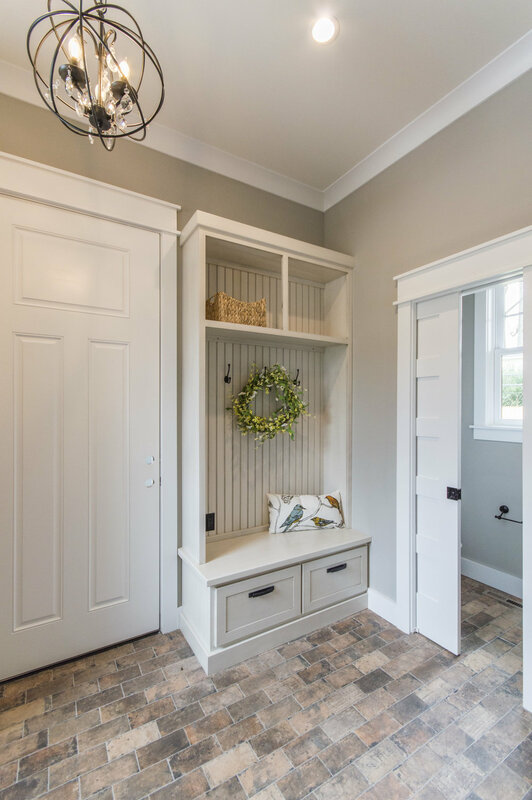 The attention to detail in this amazing Craftsman Style new construction home, boasting over 4,100 square feet, speaks to the way families today truly use their homes. The original Wissahickon Schist stone was retained and recycled. Up the brick walkway to the covered front porch, with a striking red standing seam roof, you enter the foyer area with a partial wall that features a reclaimed wood top from an old beam.